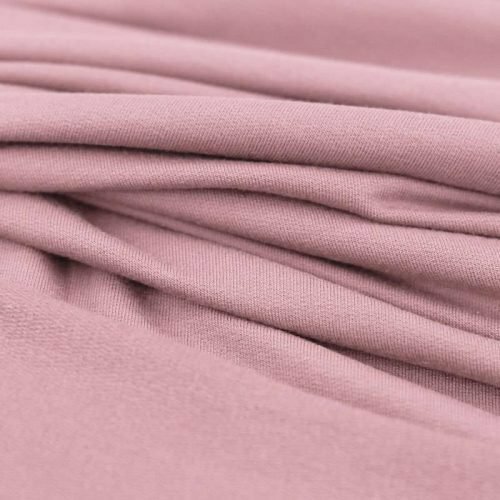 Our French Terry Knit fabric is mostly cotton with some Spandex which gives some stretch. Softer and lighter than sweatshirt jersey, it makes a great fabric for spring and summer. Additionally, it is great for layering in the colder months. Instead of having a looped knit on the reverse (like most Terry knits) it has piles of yarn that are brushed to create a softer surface which is very comfortable against the skin. 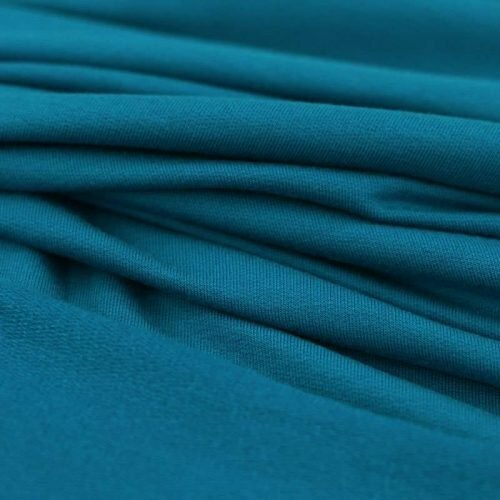 This fabric is perfect for lounge wear, hoodies, jackets, jumpers, cosy dresses, tunics and cardigans. Our Summer French Terry contains some polyester to make a lighter fabric for the warmer months and is loopback on the reverse. As with most fabrics, we suggest you wash before cutting and sewing, in case of shrinkage. We recommend you machine-wash the fabric on a 30 degree cycle. You can tumble dry this fabric but it is better to let stretch fabrics dry naturally. This helps prolong the life of the elastane as heat can damage it over time. Press the fabric on a medium heat. Any tips for sewing French Terry Knit Fabric? Here at Dragonfly Fabrics we have a lovely selection of French Terry in a range of pretty pastel and jewel bright colours.